The first sixty pages of a long book are devoted to my South African past, and how rugby in that country changed from the late 1960s to the 1995 World Cup final. Yet the overwhelming bulk of Winter Colours is a much more expansive journey around an oval ball-shaped globe. From Cardiff to Auckland, Brisbane to Brive, Limerick to Pretoria, I travel the rugby world while following some iconic players during tournaments as diverse as the Heineken Cup and the Super 12, the Tri-Nations and the Six Nations. Sean Fitzpatrick, Jonah Lomu, Josh Kronfeld, Christian Cullen, James Small, Gary Teichmann, Francois Pienaar and John Eales help me gain a deeper understanding of the Southern Hemisphere's dominant rugby culture. During intense matches between New Zealand, South Africa and Australia they reflect on what rugby means to them and the regions and countries they represent. I am just as fortunate in the Northern Hemisphere as Lawrence Dallaglio, Keith Wood, Gregor Townsend, Rob Howley and Thomas Castaignède share their insights into English, Irish, Scottish, Welsh and French rugby against a backdrop of domestic and international encounters. 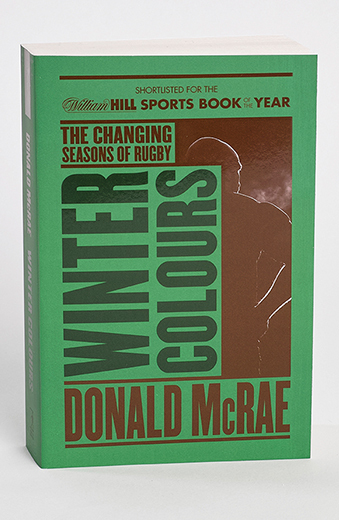 In later editions they are joined by Martin Johnson, Jonny Wilkinson and Brian O'Driscoll as Winter Colours is updated to 2007. The book begins just as the professional game takes hold around the rugby world but the players I meet are interested in the way the sport's traditions were forged in their respective countries. Fitzpatrick and Kronfeld reflect on the mythic power of the hard-bitten All Black warrior. The most rugged tale to wag the immense body of All Black folklore was illustrated by one of their lesser-known heroes. During the New Zealand trials before a tour of South Africa in 1960, Richard Conway was told that a hand injury would not heal in time for him to be considered for selection. In desperation, the number 8 asked the specialist if anything could be done to save his place in the team. "There's only one thing that will mend that finger in time," the doctor joked, "and that's amputation." Conway, called 'Red' rather than Richard by the All Blacks, ordered the bewildered doc to get on with it. After an hour of arguing, the chop eventually came and, missing a finger, a bloodied Red made the tour. 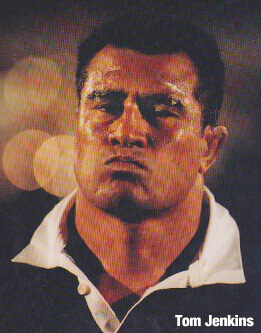 He played in three Tests out of four against the Springboks. Three All Black caps for one finger? In New Zealand, apparently, it seemed a fair exchange. Such legendary stories are given a contemporary sheen as, during training with the All Blacks, and just before and after shuddering Tri-Nations Tests against the Springboks, the likes of Fitzgerald and Kronfeld draw me deep into the culture of New Zealand rugby. Similarly, the contrasting power of French rugby is rooted in romantic notions of backline flair and front-row brutality. In 1971, when I was still a boy in South Africa, we fell for a singularly French definition of rugby. Pierre Danos, a three-quarter for the Tricolores in the early 1970s, had inspired us with his poetic precision. "There are two kinds of rugby players," he explained, "those who play pianos and those who shift them." I was fascinated by both, for rugby's essential appeal centred as much on its grinding forwards as those tinkling backs who jinked and ran. Various piano-players and piano-shifters talked to me in Agen, Castres and Toulouse – just as they did in Bath and Dublin, Neath and Northampton, Edinburgh and London. In the final edition, which takes us to the brink of South Africa's 2007 World Cup win, it feels as if the big old wheel of rugby had completed its latest magical turn around the world.